The Breeze LT GTX builds off of its predecessors with the lightest, most responsive all-around trail performance to-date. 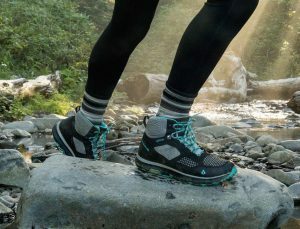 Red Wing, MN – March 26, 2019 – Vasque footwear, a family-owned company with more than 50 years of experience in the outdoor footwear sector, is pleased to launch the Breeze Lite GTX as part of its Spring 19 line of trail footwear, available at www.vasque.com and retailers nationwide. Vasque Footwear has delivered trail footwear since 1964. With over 50 years of trail footwear innovation, our dedication to on-the-trail performance excellence has never been stronger. Our men’s, women’s and kids’ hiking boots, backpacking boots and trail running shoes deliver trusted miles on any trail, in any condition, around the world. Vasque Footwear – Trail Footwear Since 1964. Visit us as Vasque.com.